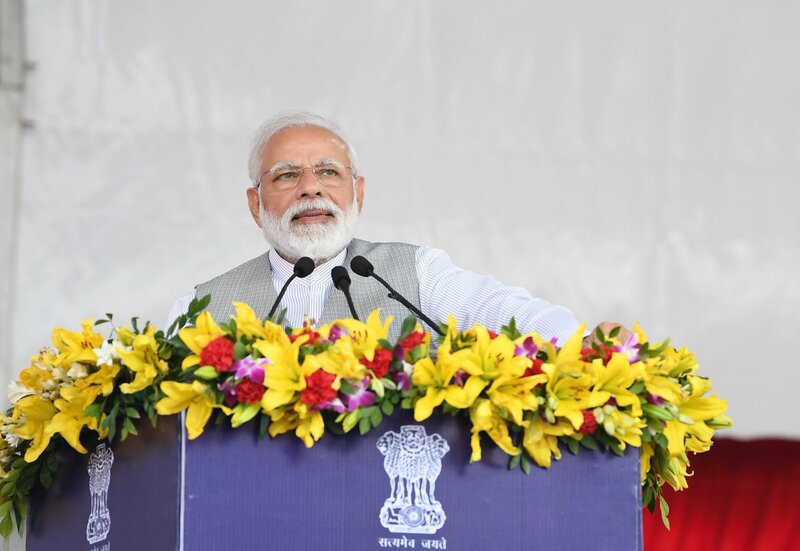 Prime Minister Narendra Modi has said that providing houses to the poorest is the first and foremost step towards poverty eradication. He said, whether it is poor or middle class, in the last four years Government has made serious efforts to provide them with their own houses. 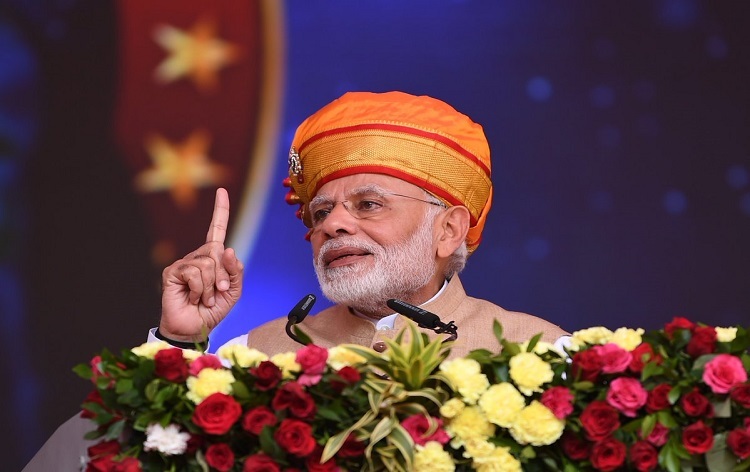 Prime Minister was speaking at a function marking the launch of several projects at Sai Mandir Complex at Shirdi in Maharashtra. He handed over keys to 2.5 lakh Grameen beneficiaries of Pradhan Mantri Awas Yojana. Mr Modi said these homes are the symbol of their dreams coming true. He said it is a big step towards the poverty eradication. He told the beneficiaries that their life is now on the track of positive change and expressed happiness that he got the chance to fulfill their dreams on the auspicious occasion of Vijayadashmi. Mr Modi said, his government has constructed 1 Crore 25 lakh houses in four years as against previous government's 25 lakh. Prime Minister said the government is also promoting tourism along with agriculture in Maharashtra. Prime Minister said the government is constantly trying to create an environment where the farmers will get a fair price for their produce. He said, for this, the centre has increased the minimum support price. Prime Minister said he always try to celebrate festivals with fellow countrymen. Earlier, Prime Minister interacted with beneficiaries of the scheme across Maharashtra through video conferencing. After arriving at Shirdi this morning, Mr Modi went to Sai Temple and performed pooja there. He released a silver coin to commemorate the Centenary year of Shri Saibaba Samadhi. The Prime Minister also unveiled the plaque to mark the laying of foundation stone of various development works of Shri Saibaba Sansthan Trust. Prime Minister also launched a ten megawatt solar project, Darshan Queue Complex, Sri Sai Baba Knowledge Campus and Sai Shrishti, where all significant works of Sai would be digitally available for tourists.